How Long Will a Home Purchase Impact Californians’ Credit Scores? The average American can expect their credit score to decline by 15 points after buying a home, with the total recovery time taking about 10 months. San Jose and San Francisco homebuyers have exceptionally high credit scores but will need to wait roughly a year before their ratings return to normal. Making on-time mortgage payments will help boost new homebuyers’ credit ratings, as will the diversification of their accounts by owning real estate. San Francisco homebuyers have some of the best credit scores in the country, but they also face one of the longest roads to recovery after completing their real estate purchase. A new analysis by LendingTree Chief Economist Tendayi Kapfidze examines how much buying a home affects credit scores in 50 major American metropolitan areas and the length of time that it takes ratings to return to their prepurchase averages. U.S. buyers can expect their credit scores to decline by an average of 15 points after they buy a home over a period of nearly five months. After that, the recovery begins and takes another five months for credit scores to return to the baseline. Of the six California housing markets included in the report, San Jose fares the best when it comes to credit recovery. Before buying a home, San Jose residents boast credit scores of 725, the highest of any of the cities included in the study. Post-purchase, Silicon Valley credit scores fall to 711 for an average of 149 days before taking 173 days to recover, ranking it solidly in the middle of the country. San Francisco homebuyers have almost as good of credit as their counterparts to the south, at 724, and they can also expect their scores to dip to 711 over a period of almost exactly six months. Once the 196-day recovery time is factored in, San Franciscans will need to wait one year and 10 days for their ratings to normalize, ranking it near the bottom of the list at No. 47. The other Golden State cities included in LendingTree’s analysis also appear in the lower half of the rankings when it comes to total credit-recovery time: No. 39 Los Angeles (347 days), No. 40 San Diego (348 days), No. 44 Sacramento (357 days), and No. 48 Riverside (375 days). As Kapfidze explains, the reason that Americans’ credit scores fall when they purchase a home is fairly logical: As the biggest purchase that most people will ever make, a real estate transaction adds a large amount of debt to one’s balance sheet. Once new homeowners have proven that they can swing the monthly house payments in a timely manner, their credit ratings gradually improve, boosted by the fact that having a mortgage helps diversify a credit portfolio. 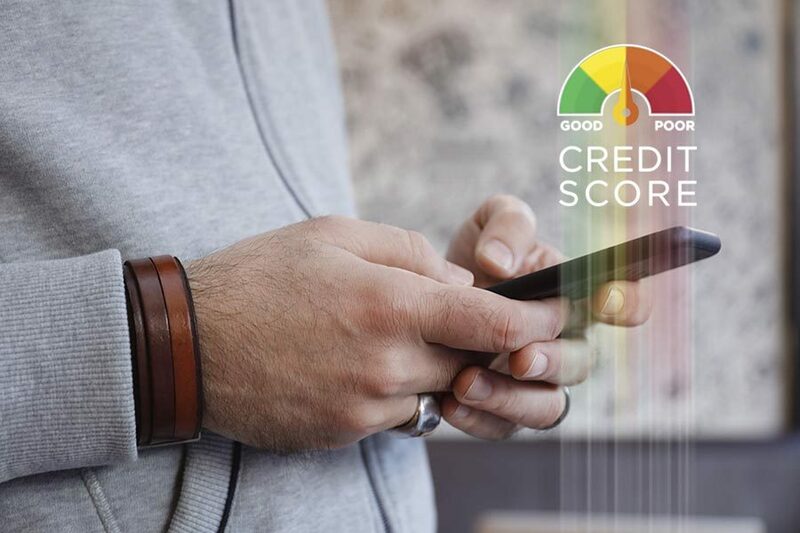 Of course, having a good credit score is key to getting a home loan in the first place, and younger homebuyers could stand to improve their ratings to maximize their chances. Another recent LendingTree study reports that millennials have average credit scores of 634, the lowest of all generations. And earlier this year, Experian published an analysis finding that more than 60 percent of millennials lack a prime homebuying credit score.